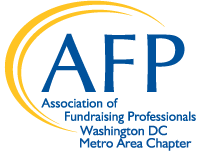 The Bridge Conference is AFP-DC’s premier conference for fundraising and marketing professionals. Dynamic keynotes, panels, workshops and networking events provide insights on latest strategies, techniques and innovations in direct response and major donor fundraising. This year’s theme, Change the World with Ideals, focuses on the tips, tactics, and techniques that can ignite lasting change in the causes we’re passionate about. Save 25% when you register before March 22 for the 2019 Bridge to Integrated Marketing & Fundraising Conference, July 10-12 at Gaylord National Resort & Conference Center at National Harbor. For additional information, visit the Bridge Conference website.